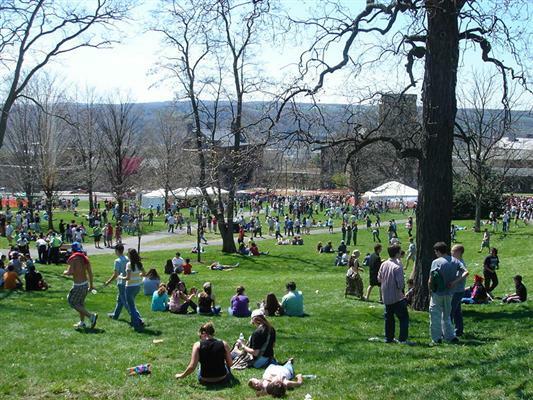 One reason to go to Cornell — Slope Day! For those high-schoolers thinking of attending Cornell, here’s one of the reasons you do — Slope Day! The final day of classes (where most don’t go to class), people gathering on “Libe Slope” and usually a band or two playing. See this picture! Sure you’d like to go to San Fran for a “pleasure vacation”? Did you plan on going to San Francisco for a “pleasure vacation”? Depending on what your intentions were, you may wanna reconsider and make alternate plans! http://nyti.ms/Sfd4Nk … there may be something missing that you’d have liked to have seen!